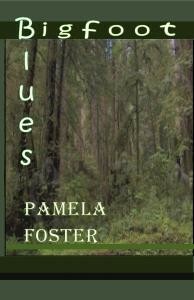 Pamela Foster, who isn't based in Humboldt now but sure knows the place, has written a delightfully cheesy but very fun novel called Bigfoot Blues. She'll be among the authors out in force this weekend scrawling their names, your names and probably anyone else's name you'd like into your very own copy. Once you buy the book, of course. Look for Foster to be signing her novel at Cafe Nooner during Arts Alive on Saturday. Meanwhile Tracey Barnes Priestly, she of the T-S Second Half column, will be inscribing her first novel, Duck Pond Epiphany at the Sewell Gallery, also during Arts Alive. And rounding things out, that history photo book duo, Scott Brown and Katy Tahja, will be signing their books at Northtown Books in Arcata Friday night and at the Clarke Museum in Eureka during Arts Alive. The books? Eureka Then & Now (Brown) and Logging Railroads of Humboldt & Mendocino Counties (Tahja).